The early bird gets the worm! 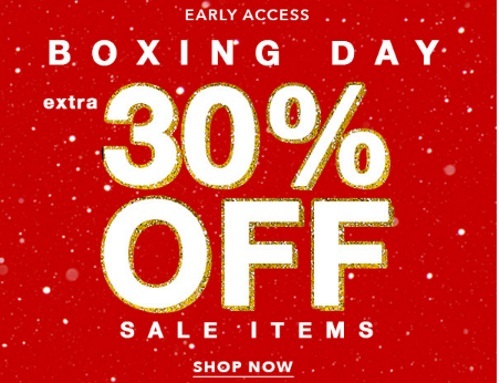 Forever 21 is offering early access to their Boxing Day Sale on now! Save an extra 30% off sale items! Also get Free Shipping on all orders, no promo code is needed. Discount is automatically applies at checkout. Click here to browse Forever 21.